Increasing the independence of the physically disabled essentially requires a revised planning. A project for barrier-free living, implemented by the German Self-Help Association for the Physically Disabled in Krautheim, Baden-Württemberg, together with Stuttgart architect Bernd Bubeck and dormakaba's specialist project consultants, offers a good example of what can be done. A barrier-free living environment and independence for physically disabled people are supported by intelligent systems from dormakaba. The project required voice-activated and infrared control systems as well as 170 automatic swing door operators of the type dormakaba ED 800, which combine a door closer function and an electromechanical drive unit. The door opener technology can be activated by switches, by remote control from the wheelchair and the integrated Push and Go function – a light touch suffices. Force limiters and obstruction detection ensure optimal safety. 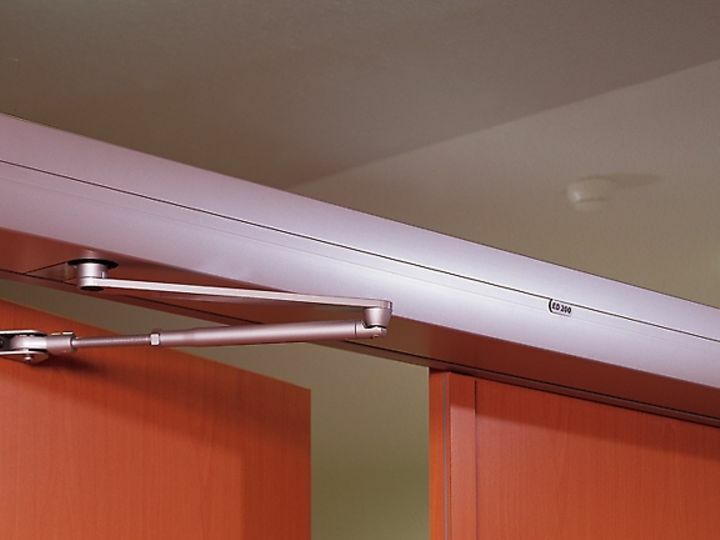 A further 20 doors are equipped with ED 200 swing door operators with hold-open systems. 41 wet cells were fitted with dormakaba ST-G/CS automatic sliding glass doors, while dormakaba FTST-G and ST-G automatic glass sliding door systems are in operation at the building entrances.